Never ever thought I'd get my hands on this model! I never even got to see it in the flesh in the 80s! 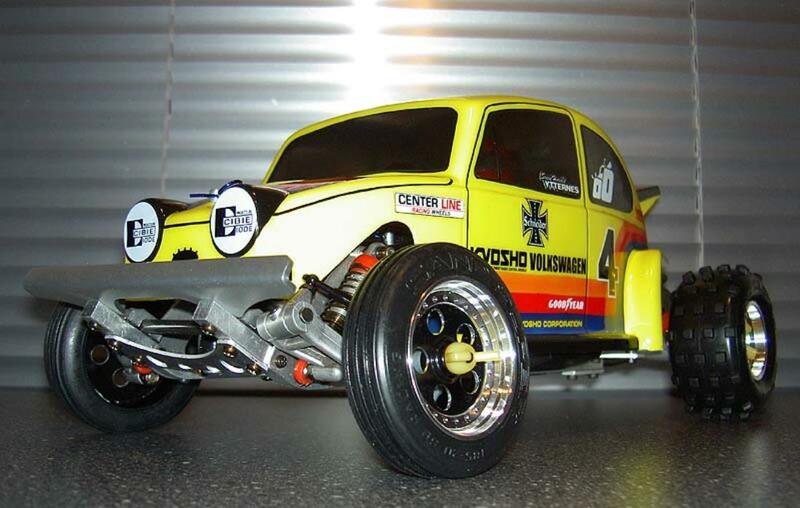 It was mostly Tamiya around my parts, I only ever saw 1(!) 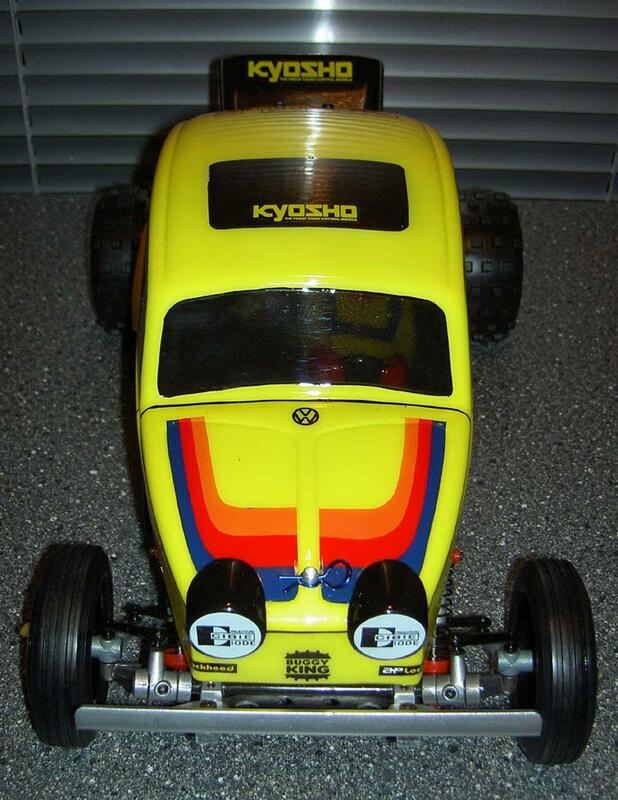 Kyosho Scorpion. 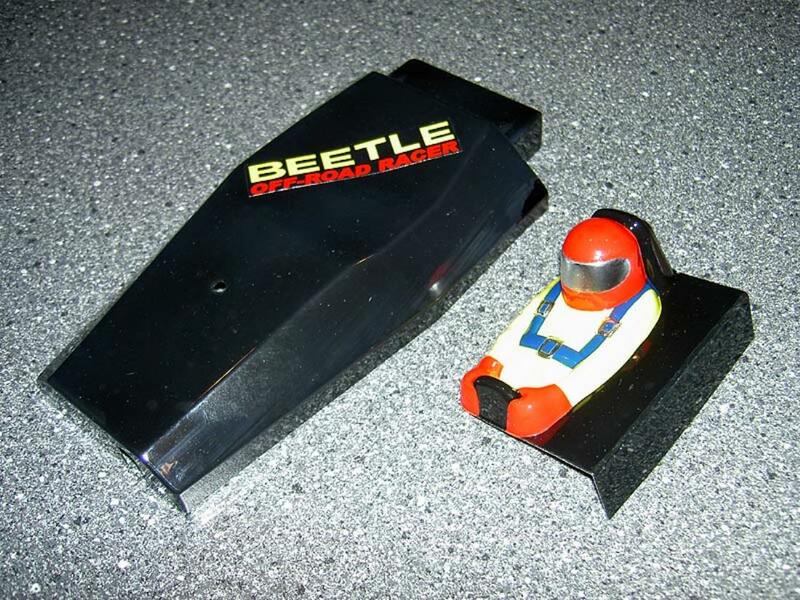 So I was very excited when I saw that 'Integrafan' (Marwan) had made and sold a repro shell & decals! This is just unbelievable! Thank you so much Marwan!!! 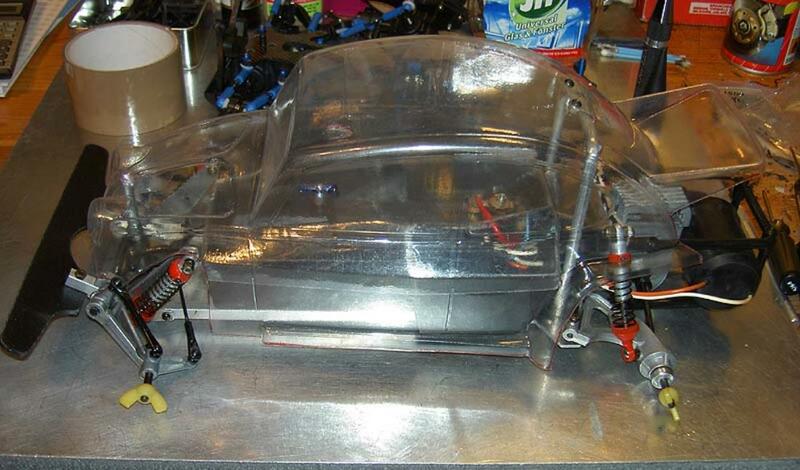 Refurbished Cox Scorpion from FleaBay/US with new repro body, roll bar, body clamp & decals from Integrafan (Marwan). Custom alu wheels and front bumper from Pargu 2000. 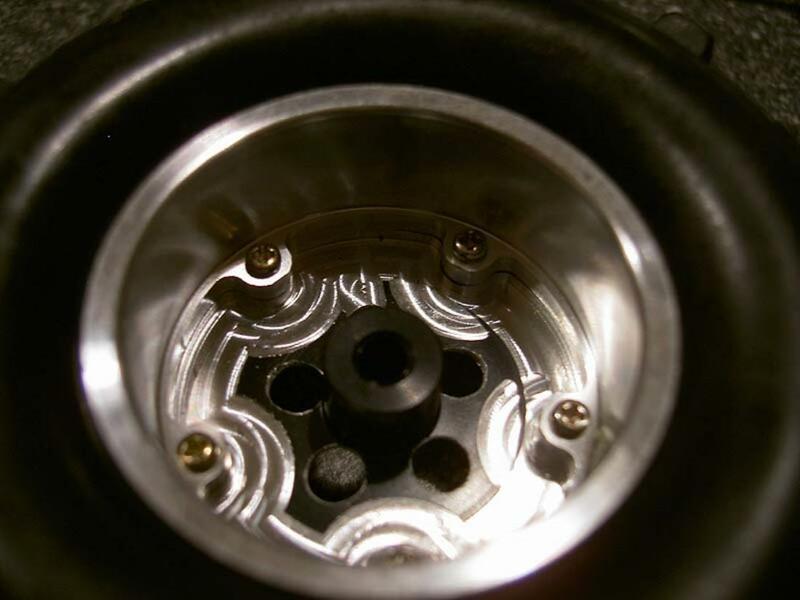 Yellow Team CRP wheel wingnuts. All painting done by myself (also the lines are painted, I'll never ever do that again!). Very happy with the result! Hope you like it! 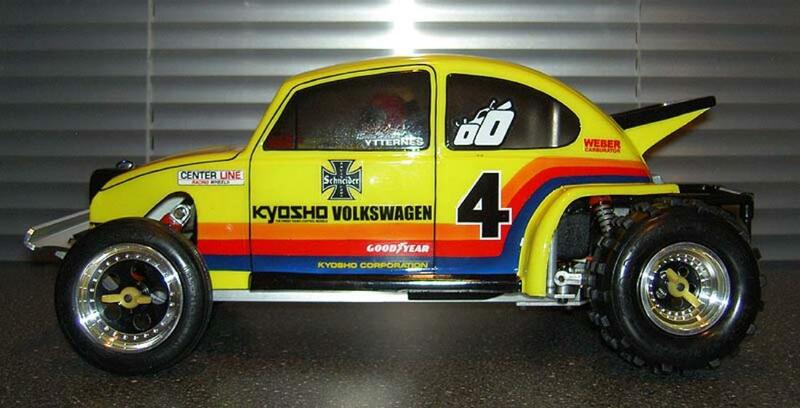 You have done a fine job on this, had a kyosho beetle myself many years ago, yours is nicer though! That's in fact a great looking beetle mate! 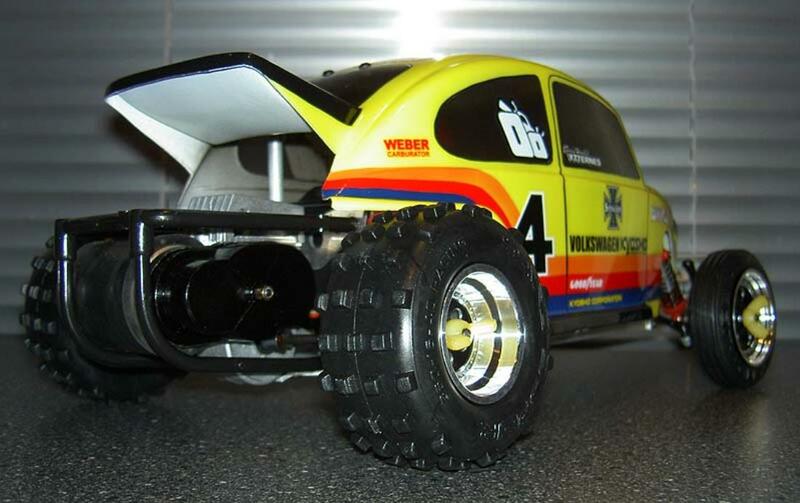 Your fourth picture posted here is very good-a special combination of presenting a rc-car I really like that very much! OOPS, almost used a bad word. You've got an awesome looking beetle! This screams to be taken to the beach! Hope you would be able to and post us the pics. Woops! Sorry about that bumper!!! Awesome! The paint looks fantastic! Thx! I won't do it again, it was a lot of work! Yeah, I think that was it! I love this Beetle. I also had a spark in this after purchasing a re-Sand Scorcher. 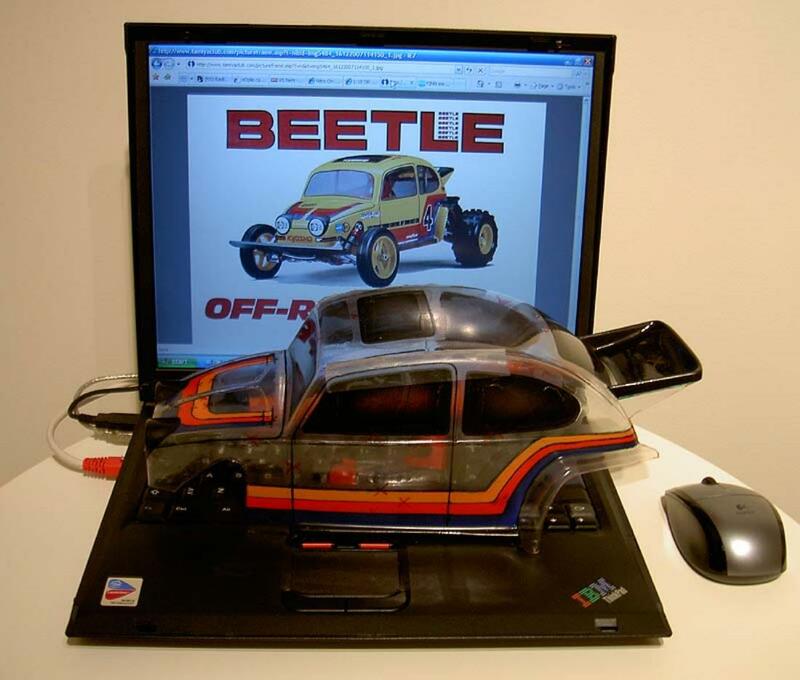 This model has meaner baja bug looks! Love it! pretty killer beetle! 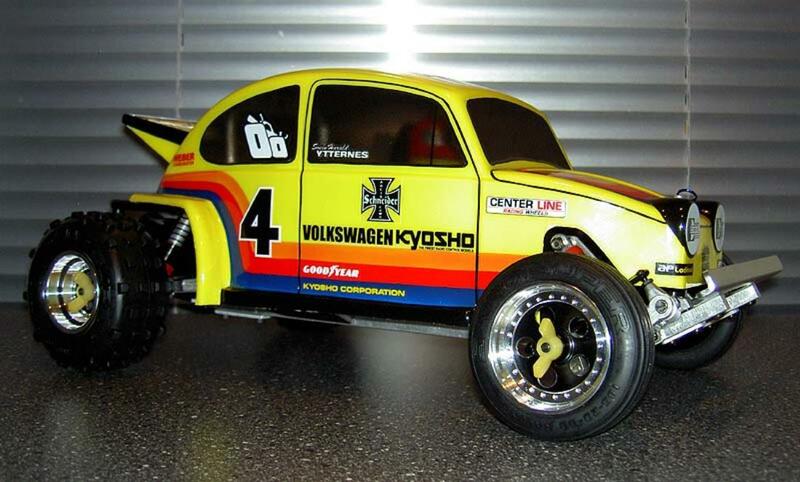 i love these kyosho beetles. and yours i nicely done!